The United Parcel Service facility in Maumee, Ohio serves as a vital center for the company's Midwest distribution and logistics. As one of the largest employers in Maumee, the UPS hub is open for 24 hours a day, 365 days a year. That’s why when it came to choosing a partner for a commercial roof replacement in 2010, UPS needed a solution that wouldn’t interrupt their day-to-day operations. 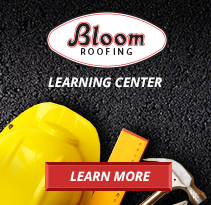 As one of the commercial roofing companies on a short list of eligible contractors, Bloom Roofing was eventually selected for the job. Bloom Roofing's industry-leading design and planning team worked diligently to develop a custom mechanically-fastened EPDM system across the damaged roof area. Working with the UPS team to minimize business down-time, Bloom Roofing identified the unique needs of UPS and installed a 288,761 square foot roofing system that still stands firm today.